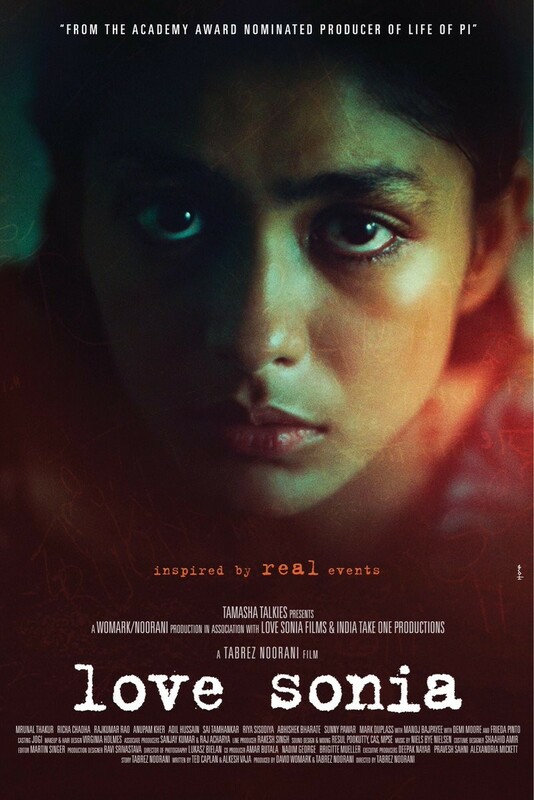 The first look of Demi Moore and Freida Pinto-starrer "Love Sonia", based on the horrors of child trafficking, features the intense gaze of a girl child, and it is unsettling. The Tabrez Noorani directorial will open The Bagri London Indian Film Festival 2018 on Thursday evening at the Cineworld Leicester Square, London. The film's cast also features Mark Duplass, Manoj Bajpayee, Rajkummar Rao, Richa Chadha, Anupam Kher, Adil Hussain, Sai Tamhankar, Sunny Parwar, Mrunal Thakur and Riya Sisodiya. The poster has a portrait image of a young girl with searing eyes, which tug at the viewers' heart. "Love Sonia", inspired by real events, is produced by David Womark along with Noorani.